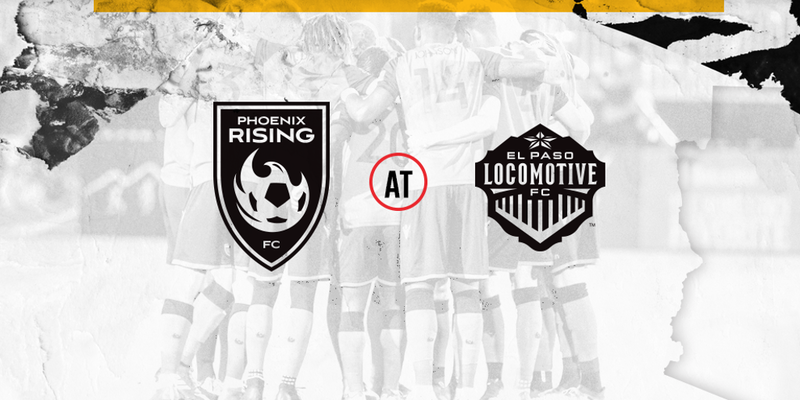 Saturday, April 13 -- at El Paso Locomotive FC, 6:30 p.m.
Phoenix Rising FC embarks on its longest trip away from home, a two-match, six-day swing through the state of Texas. The first of those two matches takes place Saturday night in El Paso, Texas, as Rising FC squares off against El Paso Locomotive FC at Southwest University Park. The match is scheduled to kickoff at 6:30 p.m. and fans can watch the match at one of two official watch parties: Thirsty Lion in Tempe Marketplace and R.T. O’Sullivans in Scottsdale. 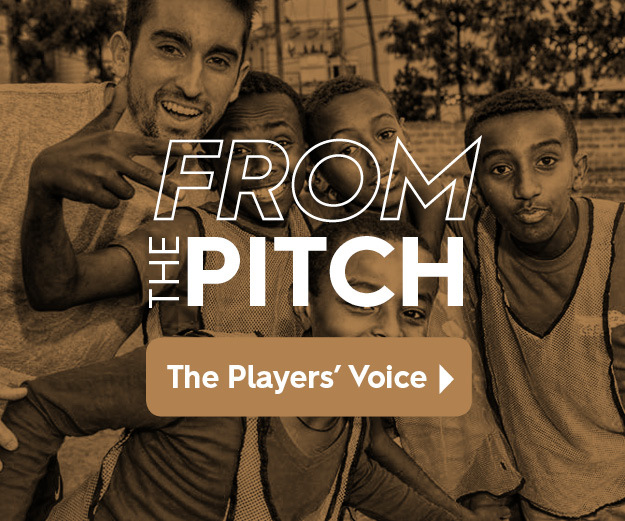 The road trip follows a three-match homestand where Rising FC went winless but unbeaten in front of three consecutive sellout crowds at Casino Arizona Field. The last of those three matches was a 0-0 grudge match against Fresno Football Club on April 6. It was the 2019 debut of goalkeeper Zac Lubin, who made three saves en route to leading the club to its first clean sheet of the season. Phoenix Rising has started the season 0-0-4, matching a club record for consecutive draws in a season and setting a USL Championship record for most consecutive draws to begin a season. Phoenix Rising is 1-0-3 in its last four matches in April. El Paso Locomotive FC will be the 31st different USL Championship club Rising FC has faced. In its previous 30 first-ever meetings, the team is 11-12-7. The last time the club won its first-ever match against another club was on June 13, 2018, in a 4-0 win over Las Vegas Lights FC. While this is PRFC's first trip to El Paso it will not be the club's first trip to Texas. The club has played a total of seven matches in Texas, going 1-4-2 in those matches. PRFC's last match in the Lone Star State was this year's season opener, a 3-3 draw with San Antonio FC. The club's last win in Texas was on April 11, 2015, a 1-0 win over the Austin Aztex. (The starting goalkeeper in that match: Carl Woszczynski). Rising's eight goals through the first four matches of the season is ahead of the record-setting goal pace the club set last year. The club had scored just six goals in its first four matches in 2018. After four matches, three players have played all 360 minutes of play: Solomon Asante, Amadou Dia, and Adam Jahn. Following the club's 0-0 draw with Fresno FC, the club opened the season with four consecutive draws. It's the first time in club history the team hasn't notched at least one win within its first four matches. The club also set a USL Championship record for most draws to begin a season. While the club will break a record for most matches to start a season before its first win, the team still has a long way to go before setting the club record for the latest first win of the season. That record was set in 2014 when the club won its first match of the year on April 19, 2014.